Students at Park Slope Collegiate, Manuel Brito and Franciely Paulino, and their teachers, Louise Bauso and Michael Salak, worked with Paul Allison,the coordinator of the student writing blog Youth Voices Live to learn the skills of podcast creation for their Brooklyn History course. 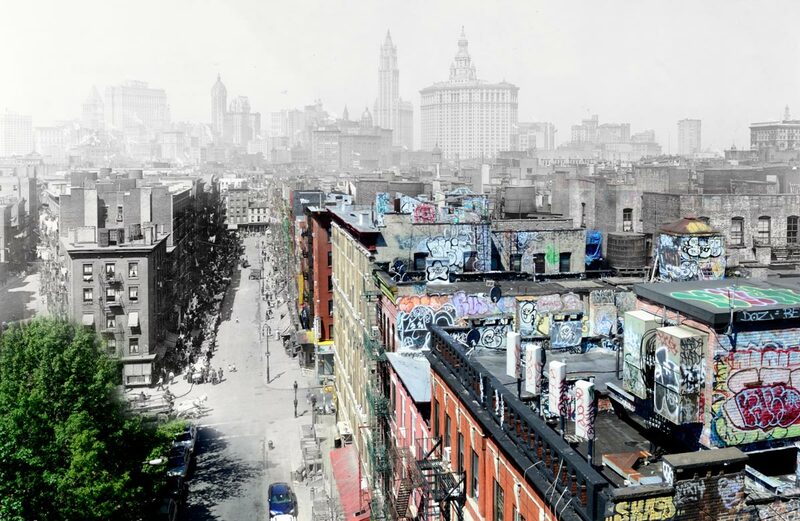 The students then applied their newly developed skills to an Urban Memory Project podcast capturing the voices of a disappearing Park Slope, Brooklyn. In the podcast Manuel and Franciely interview long-time Park Slope resident, Eduardo Rosario, who has witnessed neighborhood change — for better and worse — over many years, asking him questions about the neighborhood’s character, its population, and the effects of gentrification. 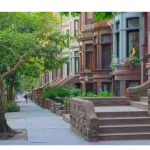 Throughout history, Park Slope has experienced periods of highs and lows and we are going to study them by the voice of people that have been living here since the late 60’s until now. Change is what makes everything interesting – if it wasn’t for the changes that happened and the changes that continue to happen, we wouldn’t be exploring this question. Manuel asks in his introduction, “How do you preserve what you value in a city defined by change?” Listen to Eduardo Rosario’s answer here. Click here to read more of their work and to learn about Youth Voices Live.